Freebie alert! 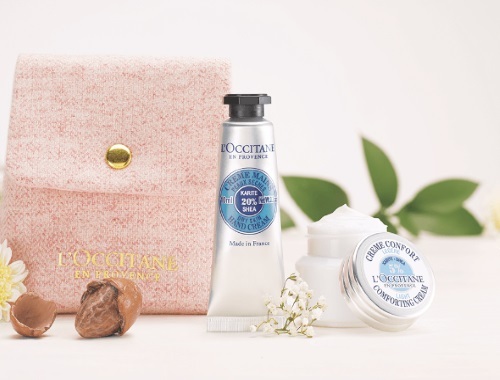 Try L'occitane's best selling nourishing collection for free! Get your Free Shea Gift set now! Discover what makes the Shea Butter an essential beauty ingredient, with an iconic Shea Butter Hand Cream and Light Comforting Face Cream. Free while supplies last. Limit one per customer. Limited Quantities available. Offer free with no purchase in boutiques and with any purchase online April 10 – April 30, 2017 or while supplies last. After you submit your email you will receive an email to present in-store to get the Free gift (no purchase needed).